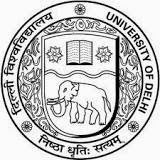 About Organization: The University of Delhi is a public central university located in Delhi, India. It is wholly funded by the Government of India. Established in 1922, it offers courses at undergraduate and postgraduate levels. Qualification: Candidates should possess Master’s degree in the relevant subject from an Indian University or an equivalent degree from a foreign University and must have qualified the National Eligibility Test (NET) conducted by the UGC/CSIR. How to Apply: Eligible candidates can send their application to the Principal, P.G.D.A.V. College (Eve. ), Nehru Nagar, New Delhi-110065.